ends with another hung jury. A man’s got to have a code, a creed to live by. but I'll talk to you just this once. you learned to respect your betters. just can't run away from. 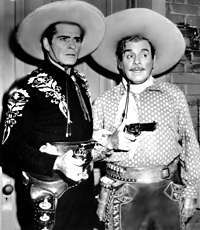 The Cisco Kid and Pancho looked and acted different from other TV cowboys, and their show was different, too. The Cisco Kid was an easy going kind of cowboy show, not serious all the time. It's doubtful anybody ever had nightmares from watching it. 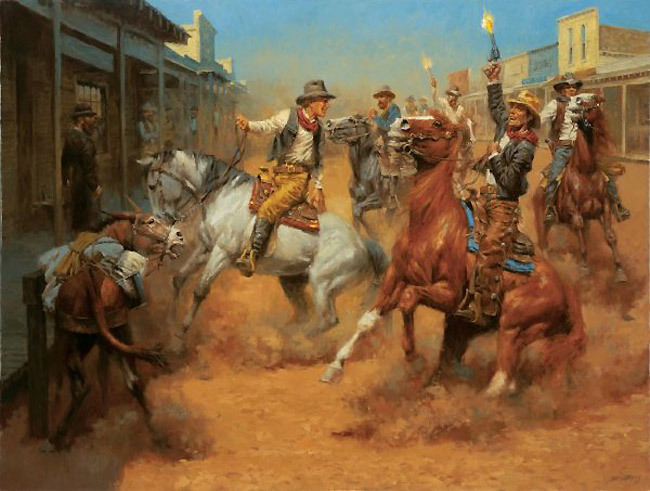 The two buddies rode in on their horses at a fast clip, but once their feet touched the ground, the pace of the show slowed down. The bad guys didn't appear to be monsters, they didn't scare you to death, and Cisco didn't fire his gun too much. 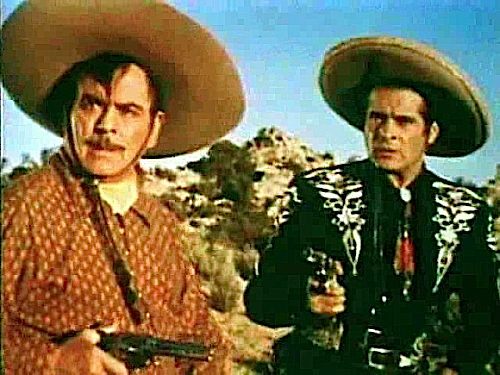 Pancho's character lightened things up because, well, he was just funny. 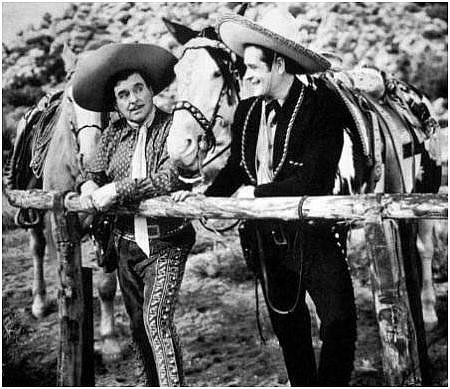 We knew Cisco and Pancho were different, even if we didn't understand at the time that they were Spanish. (Family probably educated us.) Cisco spoke English with an accent, not like our accents, and Pancho used English like "Let's went, Ceesco" when it was time to go. 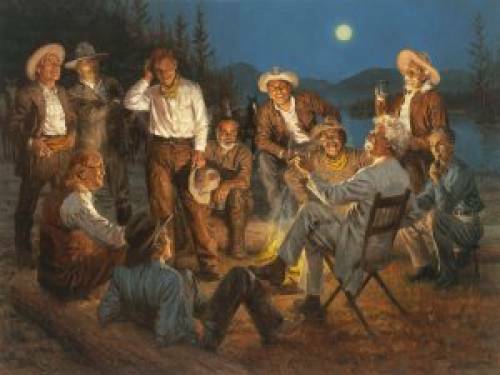 They didn't dress like the other TV cowboys, either. 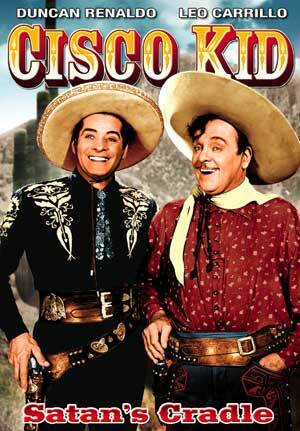 In every episode (156 of them) of The Cisco Kid, Cisco was dressed in a black cowboy suit with much white embroidery. (On the older TV sets, it wasn't recognized as embroidery. It just looked white). His sidekick, Pancho, was dressed more commonly in a peasant type shirt, but his pants had a fancy cowboy look. 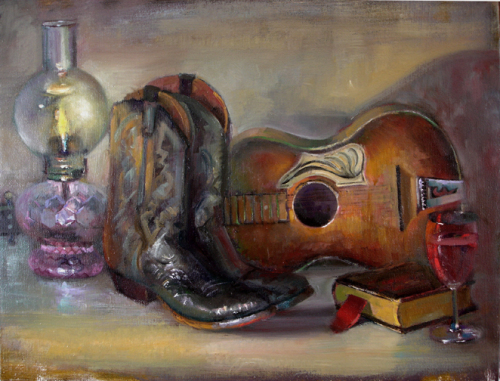 They both wore guns around their hips and, of course, on their heads was the cowboy hat. Cisco's hat appeared to have braid of some type around the outer edge. Pancho's hat had a very wide brim. Cisco was handsome and very neatly dressed. Pancho was not so handsome and looked a bit untidy. 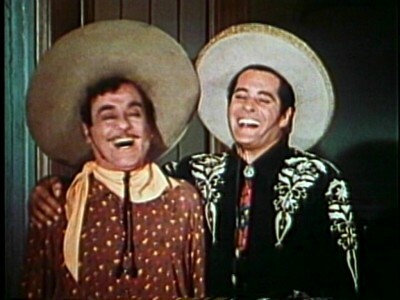 At the end of each program there was a little joke that passed between Cisco and Pancho. Cisco would say with a big grin, "Ahh, Pancho", and Pancho would say with a big grin "Ahh, Ceesco", without actually laughing out loud at the joke. 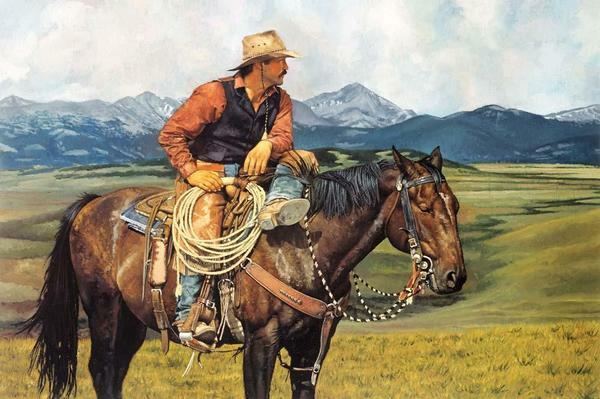 Then they would ride off on their horses into the western landscape looking for more wrongs to right. Ahh, Pancho, Ahh Cisco, we enjoyed every minute of your show! Viewed by the poor as Robin Hood figures. The first television series to be filmed in color. Few viewers saw it in color until the 1960s. short story author O. Henry in "The Caballero's Way"
Too many people spend money they earned..
to buy things they don't want..
to impress people that they don't like. The ones that learn by readin’. the electric fence for themselves.